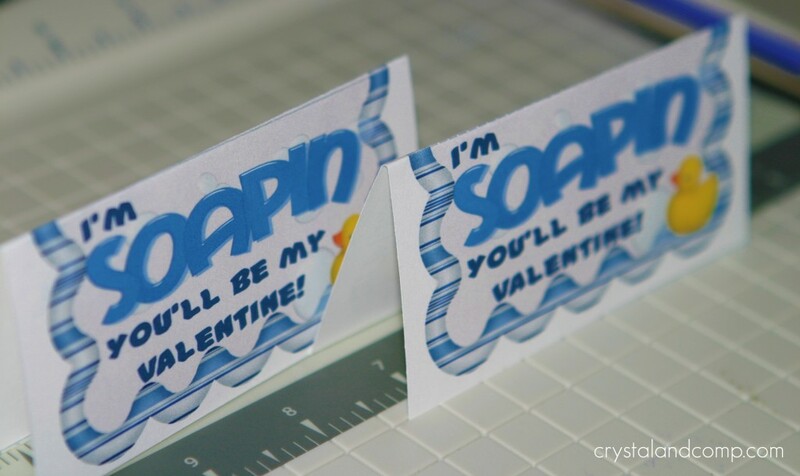 These soap Valentines are so fun! I got the idea back during October from my sweet blogging friend Shannon over at Milk and Cuddles. Kids will scrub and scrub their hands to get to the surprise in the middle. We used bouncy balls. 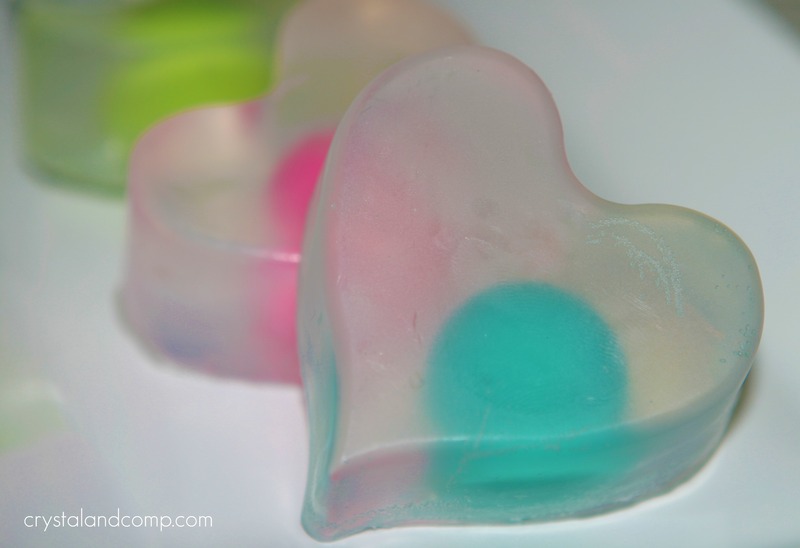 Look in the party favor or holiday/Valentine section for a party favor idea to use in your soap. 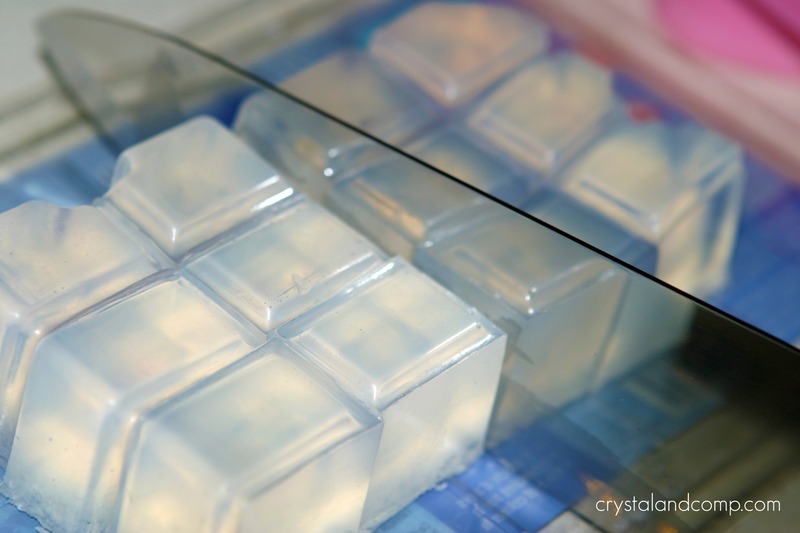 Cut your brick of soap glycerin into cubes with a sharp knife. Fill your muffin tins with 2 and a half cubes of glycerin. Pop them in the microwave for 40 seconds, or heat them in a 300 degree oven for about 20 minutes. Gather your party favor item you will use as the surprise. 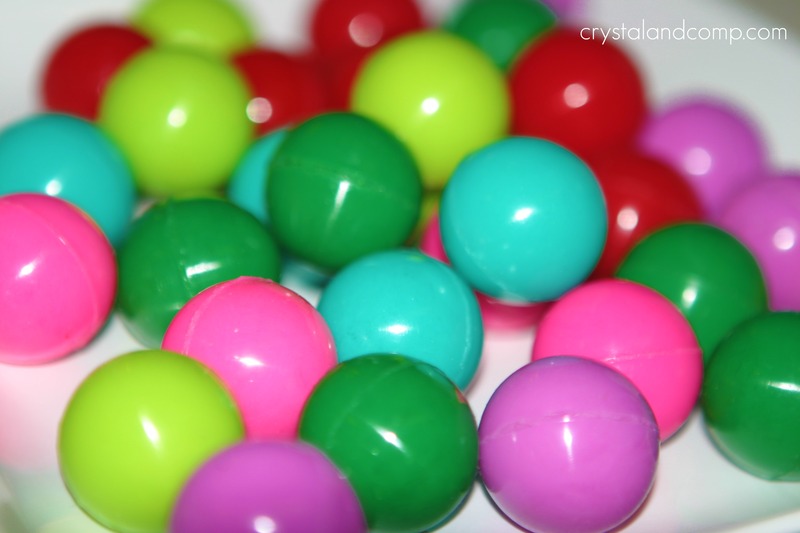 Here are our bouncy balls. Drop one ball in each heart muffin tin. The ball will not sink to the bottom, but that is ok.
Let them cool 100%. I waited about an hour. 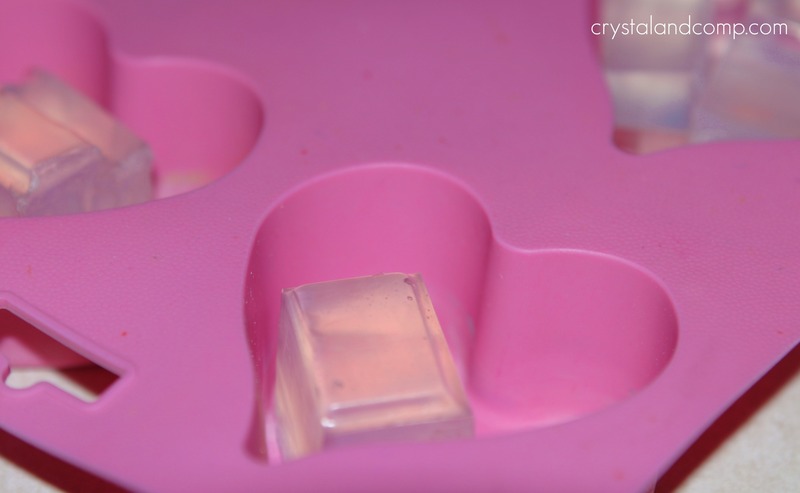 Once the soap is hardened, you can remove them from the muffin tin. Print your free printable. Cut them out using scissors or a paper cutter. There is a place for the kids to write who the soaps are to and from on the back. 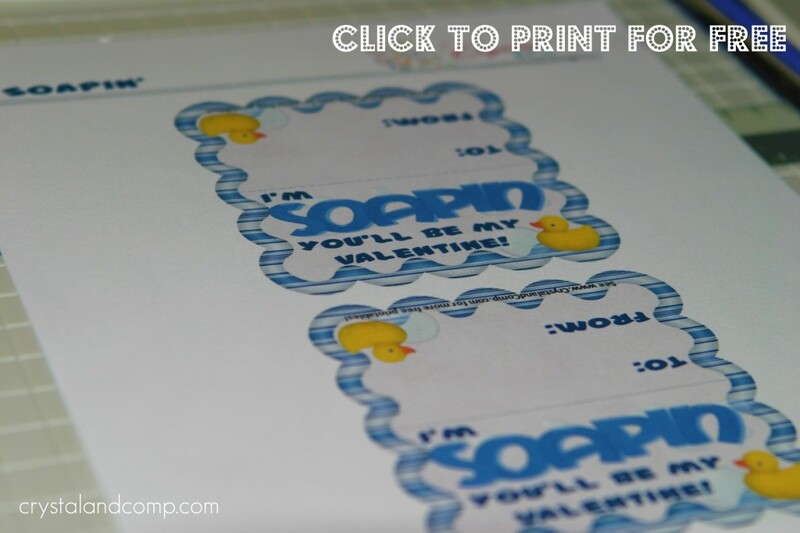 Need a printable for your party or celebration? Check out my friend Kelli at 3 Boys and a Dog. She does design work at a very budget friendly price. Fold the printables in half at the dotted line. Fill each cello bag with one heart soap. Fold the top of the bag over to close. Place the folded printable over the folded cello top and secure closed with one staple. And you have an awesome gift for your Valentine. 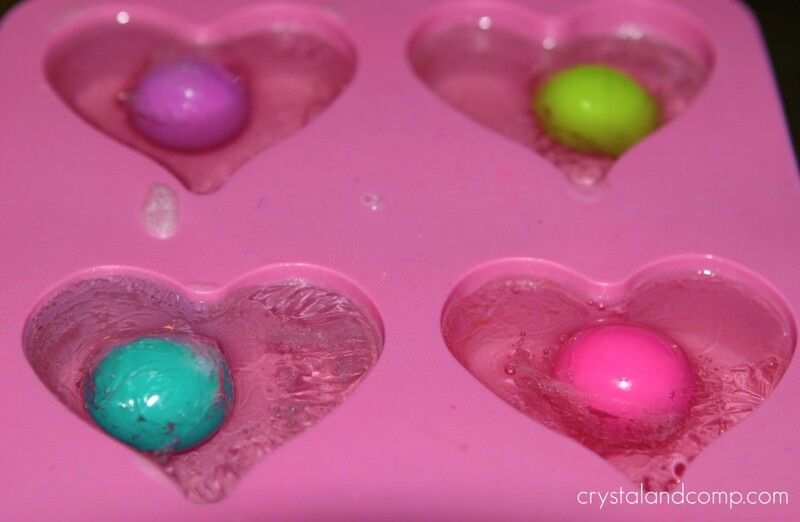 Check out all of the Valentine Crafts here. I am sharing this craft at these linky parties. These are sooo cute! I think my daughter would love making these for her friends! Thank you so much. They were so fun to make and can be adapted to any holiday or event celebration. Thanks for linking up to Kid’s Co-op. I’ve always wanted to make soap! Thanks for the tutorial. 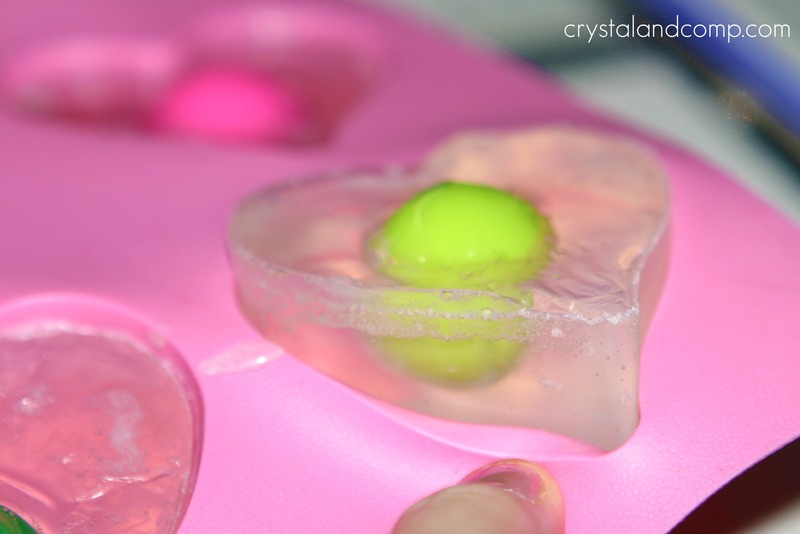 Can you add scents to the glycerin? Ana- it was so easy! I was really amazed. The possibilities are endless and they make great little gifts. I’ve been thinking of trying to do soap stuff for a little while now. I found this one woman at a craft fair who put little rubber ducks in cupcake/muffin shaped soaps which my daughters love and I keep thinking I could probably figure that one out myself. This looks so easy I think I might try this as my first project. Thanks and love your site. When I click on the free printables, it only comes up for boys. How do I get the printable for the girls? Thanks for your help. Can any scent or anything be added to the glycerin to make the soap smell nice? 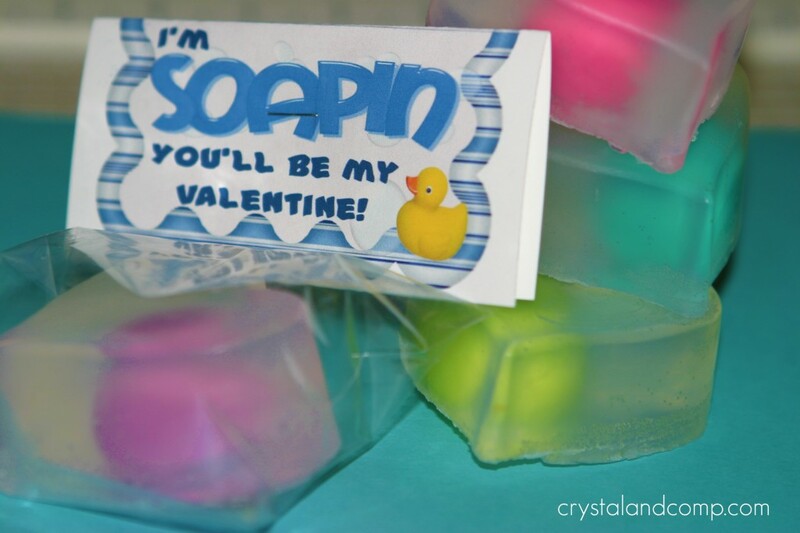 How about a color to color the soap and one last thing, glycerin is found at a craft type store such as Micheals or AC Moore? Thanks! I really like this idea. You can add a scent or color. You will need to see what’s available at your local craft store, like Michaels or on Amazon.